Information Communication and Technology Educators of NSW is the single entity that represents ICT interests in New South Wales and is affiliated with the Australian Council for Computers in Education (ACCE). ICT Educators of NSW consists of members from the former New South Wales Computer Education Group and the former Computing Studies Teachers Association, NSW. The purpose of ICT Educators of NSW is to cater for all educators that make use of ICT throughout the key learning areas in Education and to endorse the concept of specialised course(s) in Years 9 – 12 in the secondary curriculum. 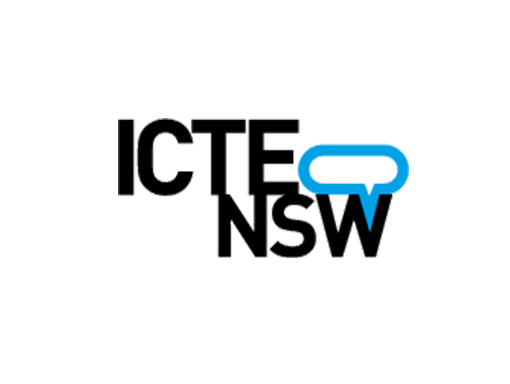 ICTENSW meets once a term in Sydney at a nominated venue where various workshops are offered to ICT educators from 4pm – 9pm. The workshops offered are varied from the use of specialised programming paradigms to the use of Web2.0 tools. These workshops are open to all educators and do not have to be a subscribed member of ICTENSW. Members of the ICTENSW permeate the NSW Higher School Certificate Examination process . At each Annual General Meeting (held in March), VET Information Technology, Information Processes and Technology, Software Design and Development and Industrial Technology Multi-Media examination solutions are explored and a solutions booklet is produced. Members of the ICTENSW have been instrumental in the minor to significant modifications in the Software Design and Development and Information Processes and Technology syllabi.